We feel privileged and blessed to serve such incredible people in our vibrant city. We are incredibly fortunate to work in the vibrant and dynamic Eastlake neighborhood, located on the banks of Lake Union. With easy access to downtown, South Lake Union, and the University District, Eastlake is an urban gem. It features eclectic architecture, ranging from historic bungalows to urban townhomes to houseboats. There are amenities galore, including delectable French pastries, coffee, great restaurants and bars, and fun little boutiques – all within walking distance. There is so much to see! Check out the Cheshiahud Lake Union Loop, which connects the pocket parks and waterways that ring the lake. The Cheshiahud celebrates Seattle’s historic working waterfront and is ideal for active recreational activities like walking, running, or biking. 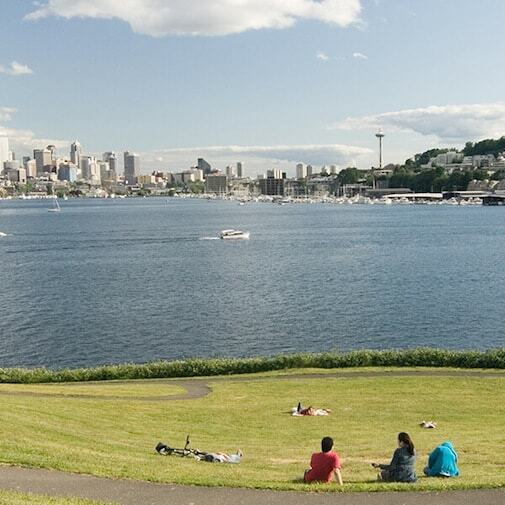 If you want to be on the lake, rent a paddleboard, kayak, or boat and cruise over to Gasworks Park for a picnic. Or for a more relaxing experience, grab a coffee and relax at one of the mini-parks and watch the seaplanes take off and land on the lake. You might even catch a glimpse of Lake Union Crew rowers! We're proud to be neighbors with amazing Seattle businesses. Learn about our favorites by clicking on their photos. 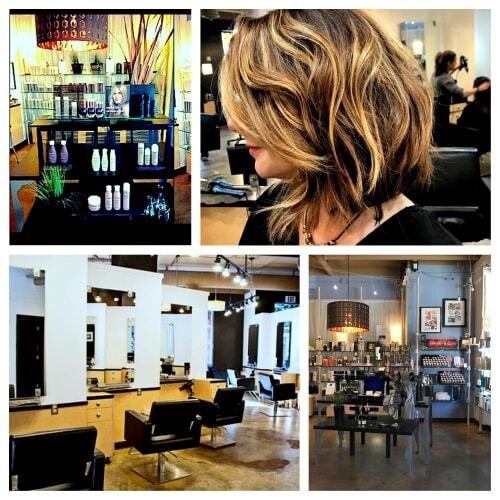 Why not complement your new smile with a modern makeover at one of Seattle’s best hair salons? Meander to our next-door neighbor MargiDavid where their hairstylists will craft, feather, and style a look reflecting your best self! MargiDavid is THE hair salon to go to for all of your hairstyling needs. Not only have these trendy hairstylists been styling hair for 28 years, but they are recognized throughout Seattle as an elite hair salon in the area. Since 1989, MargiDavid’s mission is all about incorporating the latest fashion trends into modern and traditional hairstyles while creating genuine, long-lasting relationships through fantastic customer service. Their dedication to their clientele complements Aesthetica Contemporary Dentistry’s philosophy, and we’re proud to have a relationship with MargiDavid for almost a decade. Go ahead and check them out! We promise you won’t regret it. We always appreciate feedback from our patients. Read some of our reviews. Request your appointment with Dr. Kollia and Dr. Fu.